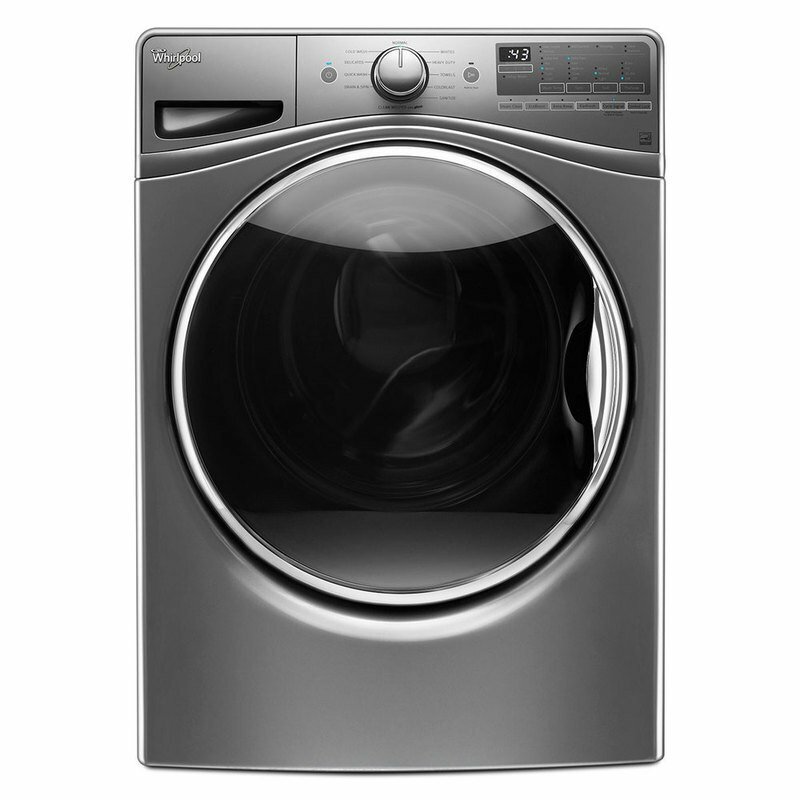 Clothes will be ready-to-wear in fewer steps thanks to our energy-efficient front load washer. 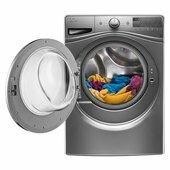 The FanFresh option keeps clothes fresh for up to 12 hours so you can finish laundry when you're ready. You can also keep colors vibrant longer with the ColorLast cycle. 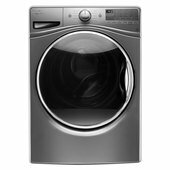 There'll be no need to soak clothes in the sink with this washing machine that features the Presoak option to soak clothes right in the washer. Plus, with 4.5 cu. 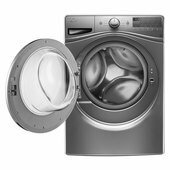 ft. capacity and the EcoBoost option, this front load washer has enough room to wash over three baskets of clothing in a single load and uses less energy while still delivering effective cleaning. Dimensions: W27" x D33 5/16" x H39 3/4"